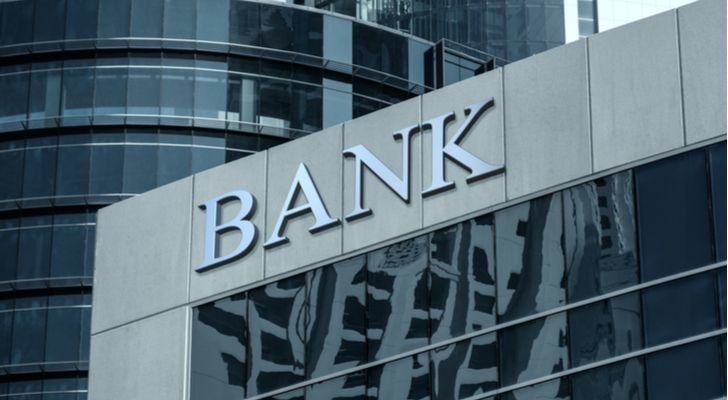 At first glance, it would be easy to chalk up this week’s secondary offering from First Republic Bank (NYSE:FRC) to the fact that it was added to the S&P 500 index yesterday. The decision by Standard & Poor’s, announced on Dec. 27, inherently creates new demand for FRC stock, as index funds and index-based ETFs are forced to buy shares to rebalance their portfolios. But the sale of newly-issued shares had nothing to do with being added to the S&P 500, since fund managers generally buy their shares on the open market. Indeed, more than anything else, the details of the public offering indicate growing market interest in First Republic Bank stock that was taking shape well before it was added to the S&P 500. Investors may want to take the hint. FRC is not exactly a household name, like Bank of America (NYSE:BAC) or Wells Fargo (NYSE:WFC). For perspective, B of A is the nation’s second-biggest bank (by assets), while Wells Fargo is its third-largest. JPMorgan Chase (NYSE:JPM) tops them all, with nearly $2.2 trillion in assets under its umbrella. First Republic, meanwhile, ranks 30th with its $96 billion base. What FRC lacks in size, however, the bank more than makes up for in potential. That, at least, is the tacit message being sent by hedge funds. Hedge funds, in contrast to index funds, exercise complete discretion as to which stocks they own. And, though FRC was increasingly loved by these speculative fund managers through the last quarter of 2017, beginning in early 2018 the stock fell well out of favor… a trend that continued through the second quarter of last year. That trend changed dramatically during Q3, though, when roughly one-third of the hedge funds tracked by Insider Monkey elected to launch or resume a position in First Republic. Most of that buying took shape before the stock’s big market-driven selloff, and despite FRC’s lackluster performance during the first half of 2018. That’s noteworthy, simply because the hedge funds had no superficial value-based or momentum-based reason to buy First Republic Bank stock, but they bought it anyway. Aside from growing interest from hedge funds, a nuance of the late-December secondary offering also points to a quiet demand for FRC stock. It’s not the new capital that makes the fundraising so interesting, however. The way it was raised is what’s interesting. Rather than selling new shares at below-market prices to ensure at least some purchasing interest, the newly-minted shares were sold at the stock’s market price. Existing shareholders aren’t being disadvantaged, and new buyers aren’t getting a price break. So far, neither side has balked. Both new and old shareholders appear to agree that the capital will be well-deployed, as First Republic Bank stock is retaining its value following the offering. Those investors’ assumptions are probably correct. While larger banks may be bumping into a headwind caused by their sheer size and rising interest rates, FRC isn’t. More nimble and better-positioned for relative growth, FRC’s revenue is expected to improve by more than 13% this year. Moreover, the bank’s per-share profits are expected to surge from 2018’s projected $4.75 to $5.37 in 2019. That’s well above the industry’s average outlook for this year. Don’t look for an explicit reason for the recent surge in the number of hedge funds looking to buy FRC stock; you won’t find one. It’s a respected operation, and growing, but lots of other banking names are respected and growing as well. FRC isn’t a screaming standout. And yet, don’t dismiss the fact that the interest in buying FRC stock is palpable. Hedge funds are adding it to their portfolios again, in earnest. Investors are content to hand over fresh capital to the bank, without any conditions like below-market stock pricing. Clearly there’s something outstanding about FRC that’s drawing a bigger-than-average crowd. If history repeats itself, the X-factor behind this bullishness will be revealed soon enough. Article printed from InvestorPlace Media, https://investorplace.com/2019/01/first-republic-may-be-the-banking-industrys-best-kept-secret/.